It's a small world after all. When everyone is looking into tiny houses and downsizing planting a mini garden fits in perfect. Minimalist are becoming popular with people looking to donate many items because we have all collected way to much stuff. So having a ton of large planters and plants that take up a lot of room is not so appealing. 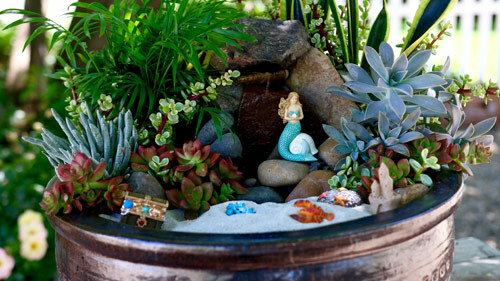 When creating a tiny fairy garden it's important to choose drought tolerant succulents. 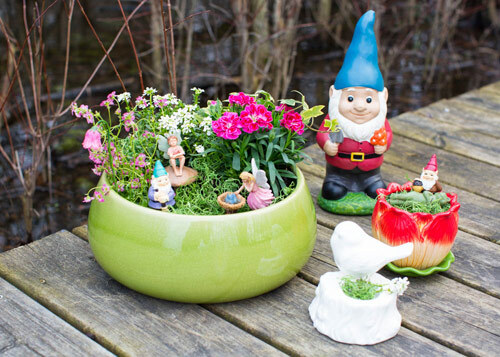 You may also want to use child and pet friendly plants since the little ones will be really interested in looking closer to a potted fairy garden. Remember to use good quality potting mix and make sure there are drain holes in the bottom of any container you use. 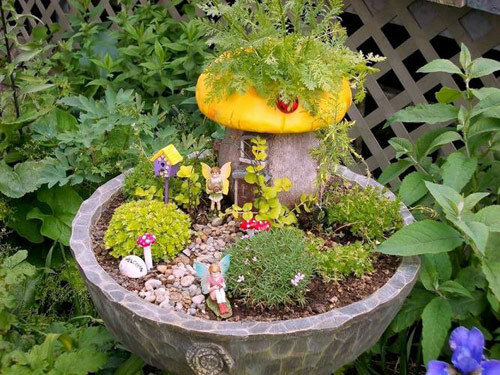 Basically a fairy garden is a mini pot complete with tiny plants and miniscule accessories that give the impression that tiny creates really live there. 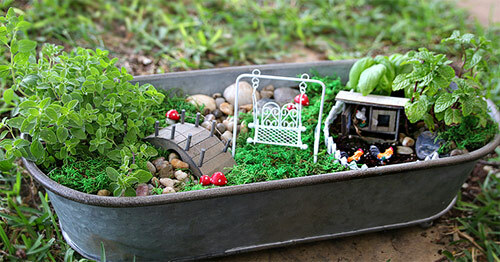 Try using creative containers, dollhouse furniture, tiny items that create the look and feel you want to project. 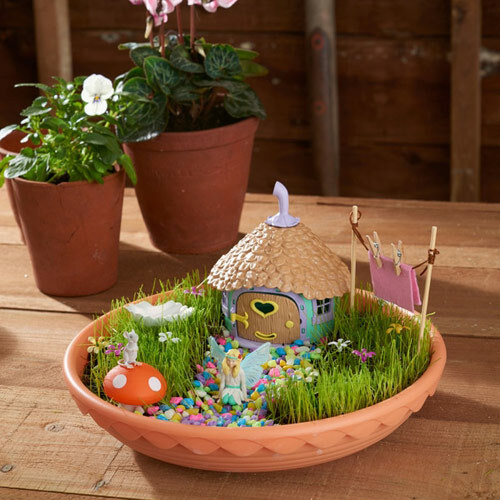 Add tiny pebbles to create walk ways and little garden tools, furniture and toys. Create something small and playful and have fun here. This is not the time to be formal or boring.